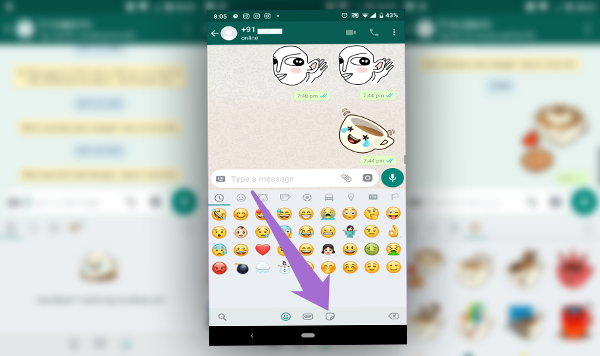 In recent days, WhatsApp launched a new feature of stickers on iOS and Android. It is similar to Facebook Messenger, users are able to send now 'cartoon stickers' during conversations, as Facebook Messenger conversations. You can make sure that you have this feature with checking if you have this small icon in emojis section. If you don't, you can download the newest version: Whatsapp 2.18.330. 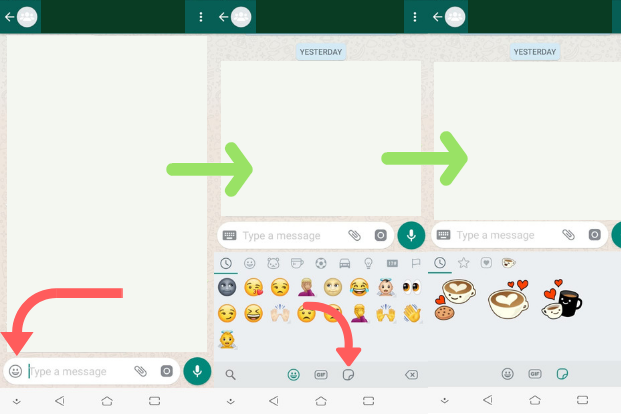 In order to insert a sticker, go to emoji section and click on icon as shown on th picture. Then, you'll face all available stickers provided by WhatsApp by default.